Nowadays shooting videos and capturing photos have become really easy. All you need to buy is a good camera and there you go! But the major issue is still editing the video. Video creation and editing is not everyone’s cup of tea. It needs creativity and not everyone of us is adept in such jobs. If you have a GoPro Hero 5, 6 or 7 with you, then you are sure to capture some amazing 4K , Full HD video content. But editing? The real issue lies there. 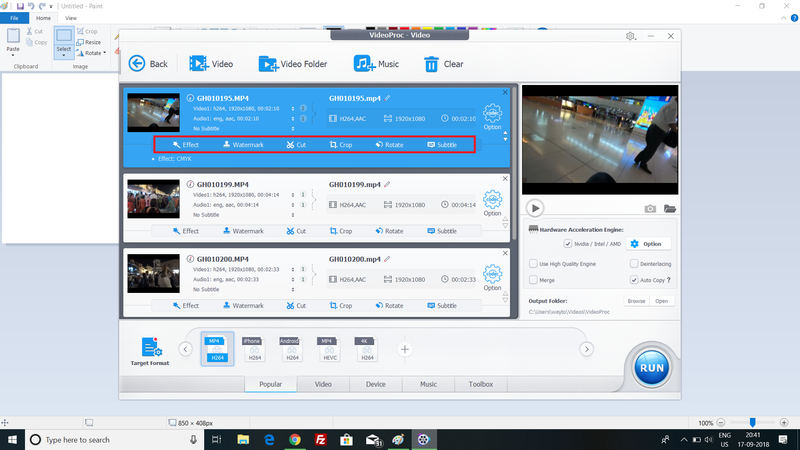 We go crazy searching for this perfect 4K video editor and converter that can help us create a video without paying hefty amounts of money to professional studios and video editors. 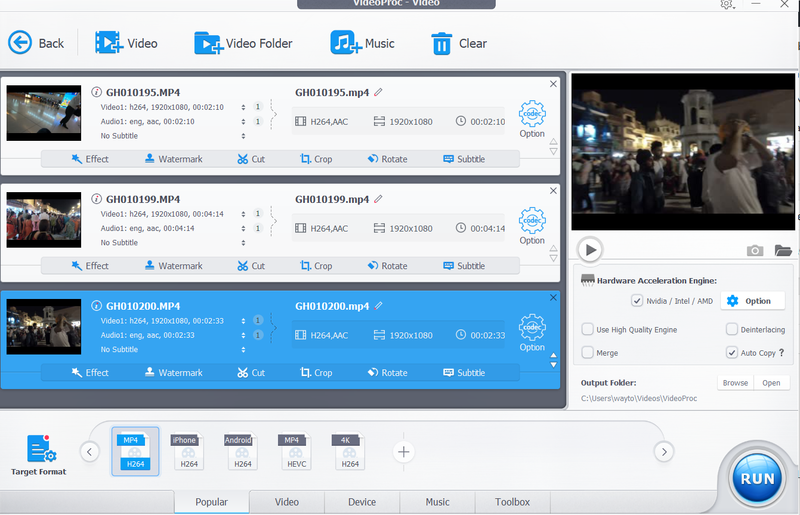 So, here comes the versatile VideoProc video editing software. VideoProc is a product of Digiarty software, who makes video editing applications for more than a decade. The most intriguing feature of VideoProc is that it is easy to use, user friendly in terms of the UI, simple and can be used by any user. You do not need to be a professional video editor, yet you can create amazing videos. It is powered by level 3 hardware Acceleration. With the Level 3 Hardware Acceleration, the software exploits the parallel power of the GPU. Thus, the load on CPU is decreased and large 4K videos of GoPro devices can be edited without taking a toll of the CPU. So, no overheating, no lag, no compromise on your computer’s performance. Hence, the software works 47 times faster than any of its competitors. You can seamlessly process 4K and UHD videos from a plethora of devices such as GoPro, DJI, iPhone, Android, camcorder, or any other 4k cameras. Ample editing features like cutting, cropping, enhancing the video quality, merging smaller clips into a single video, etc. 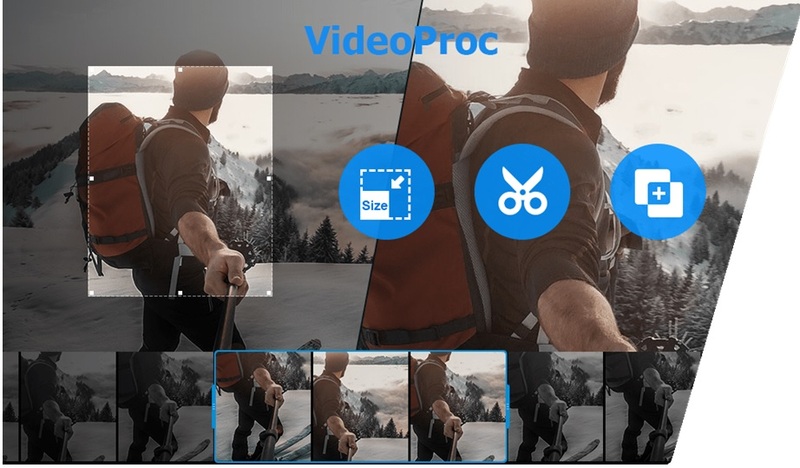 Now quickly have a look at the easy steps to edit videos on VideoProc. 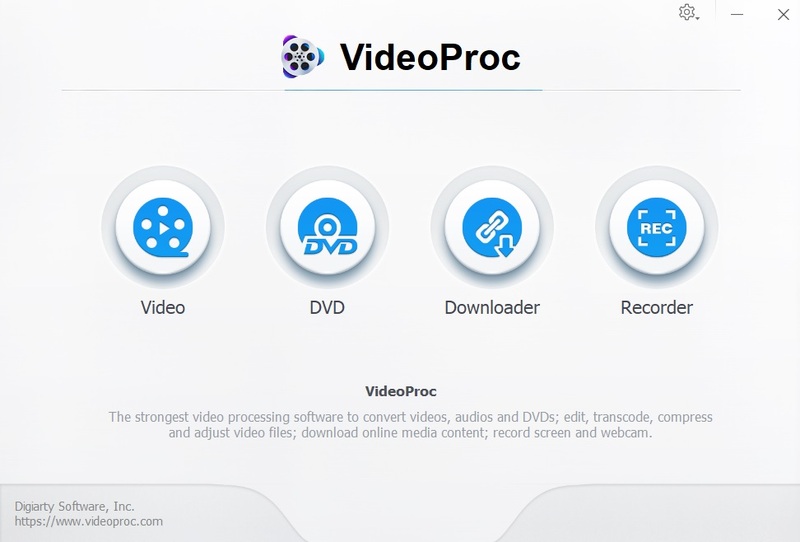 First of all download the VideoProc software. 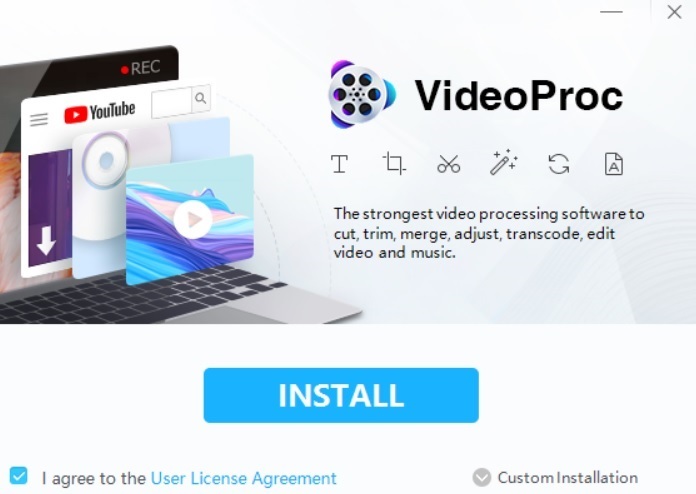 Get VideoProc free trial license code here. When the .exe file is downloaded, run it to start installation. As the application opens, click on Install to continue. 2. The installation takes some time to complete. Click on Launch. 3. Enter your license, email and start the application. You will come across a hardware info page. Click Next to continue. The information for different hardware components will be displayed. Click OK. The application finally starts. 4. There are 4 main options Video, DVD, Downloader and Recorder. If you want to create a video with your GoPro video clips, then tap on the Add video icon and add as many videos as you want. When the clips are added, you can edit each of the video clips individually. To edit a clip, select it and click on any of the editing options you want- effect, watermark, cut crop, rotate, subtitles, watermark, etc. 5. You can also tap on the options button to reveal more options. 6. The effects feature enable you to apply several beautiful filters on it. You can adjust the brightness, saturation, contrast, shadow, etc. You can cut, crop the video, flip it or create mirror effect, or simply rotate the video. There are several edit options available for both the audio and video codecs. You can delete unwanted parts from a single clip and merge all the tiny parts into a single video. When all the editing is done, click on the Run button to confirm. The video creation will take place and will finish very quickly. 7. the new video will be saved in the VideoProc folder of your Video folder in the local drive. You can change this default save location before starting the video creation. 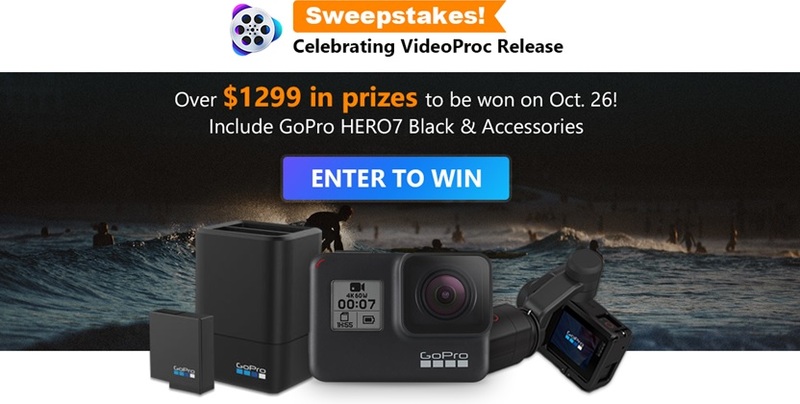 Digiarty is holding a Sweepstakes event “ VideoProc New Release Celebration event” that will enable participants win GoPro Hero 7 Black and its accessories such as GoPro Karma Grip, dual battery charger, battery, etc. How to Win GoPro 7? Step 1, Here in the top of page Process and Resize GoPro 4K Video with VideoProc, you can see the event banner to win GoPro 7 and accessories. Step 2, Fill your name and valid email to join this event. Note: They will contact the winner by email, so a valid email is necessary to receive the winner lists from the developer. You can also get a 15-day VideoProc giveaway code to free use it. Step 2, Click “Count me in” to get more chances to win GoPro 7 and accessories. You can share this event in your Facebook or Twitter to get more entries. How Could Hosted Voice Services Benefit Your Business?